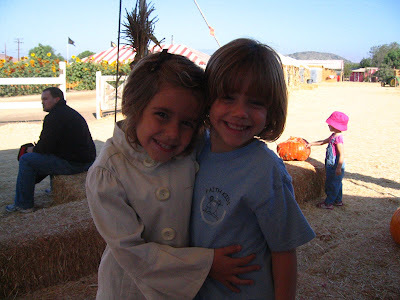 This is Madeline and her classmate, Kelly. Too cute. 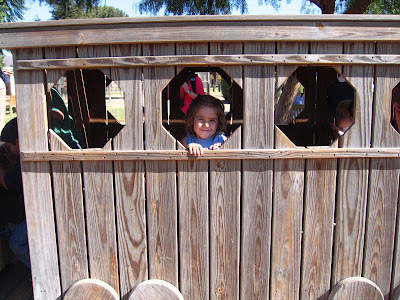 There was a long, wooden train that all the kids were climbing on and through. 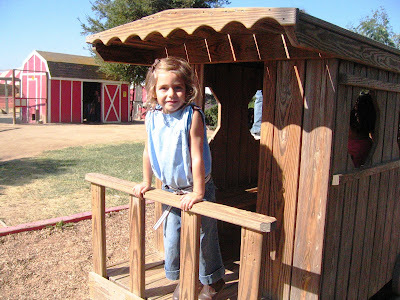 Madeline is pictured here on the caboose. There were no tears about getting on this pony! 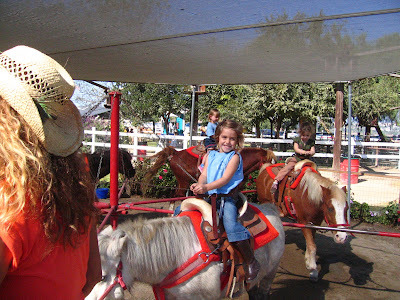 Madeline was elated about her ride and she kept affectionately petting her pony telling him, "Good job, Pony." "Where we're headed, nobody knows." Madeline on the wooden train. I can just hear Madeline talking directly to her new friend, the pony! She is definitely an animal lover! Great fun! Wish I could have been there to laugh with the kiddos.